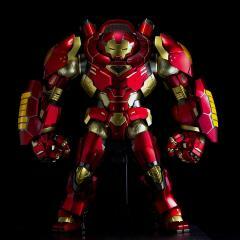 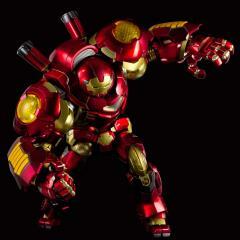 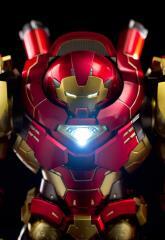 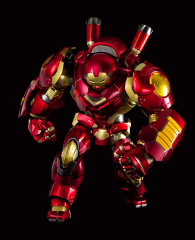 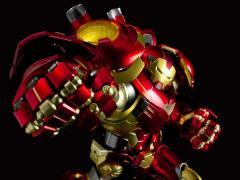 The 5th installment in the RE:EDIT Iron Man series is Hulkbuster, the anti-Hulk armor, with design arrange and supervision by Chemical Attack. The overwhelming mechanism which interlinks the retraction gimmick for the head armor, opening and closing gimmick for the chest hatch, and the LED lights throughout its body, is engineered by T-REX. 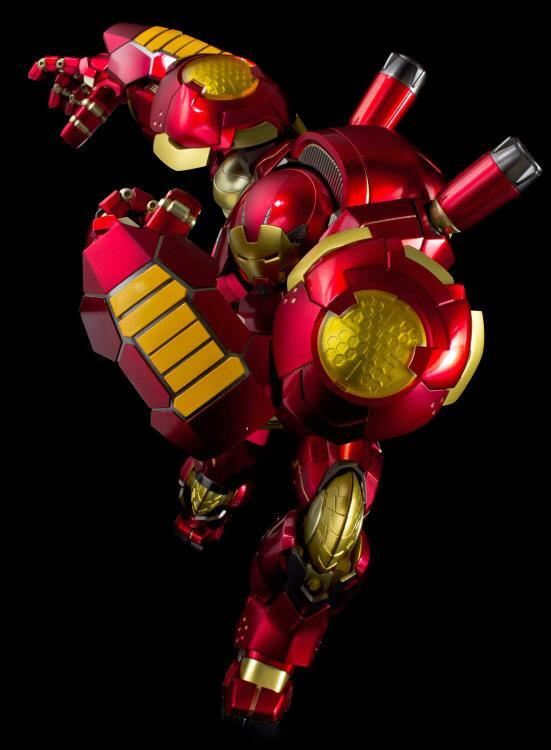 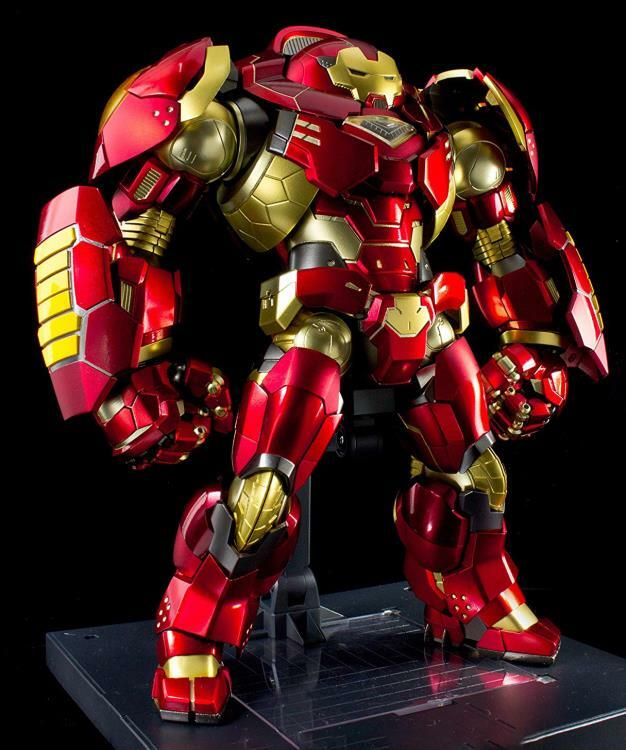 Also with the upper torso of the Bleeding Edge armor inside, complete with light-up gimmicks for its eyes and Arc Reactor, the Hulkbuster armor is a truly massive item you wouldn’t want to miss out. Numerous different shades of metallic are used for the paint finish to delicately accentuate the details throughout its body. 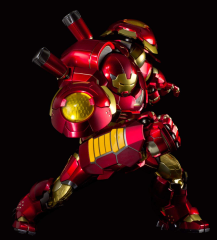 Regardless of its top-heavy style, not only it boasts a wide range of articulation and numerous interlinked gimmicks, it also has sufficient durability due to usage of die-cast parts on the soles, chest hatch, and inner frame. 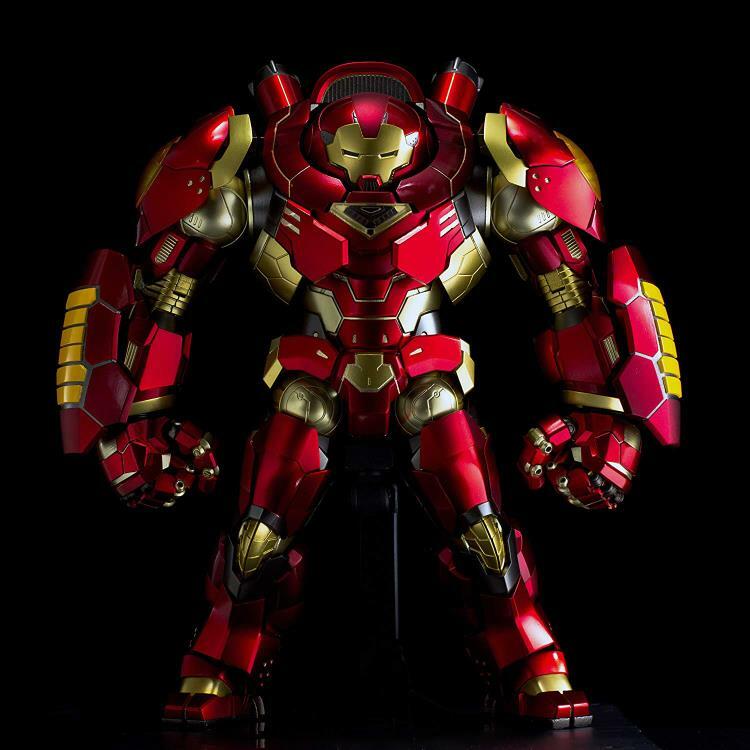 Included along with the Hall of Armor display base used throughout the RE:EDIT series, is a large-sized display base especially designed for the Hulkbuster to display it in various poses to increase its play value.